We don’t think we could fit any more sparkle into this ring! 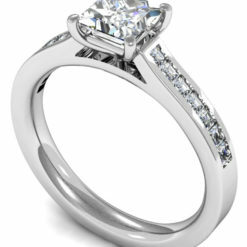 A classic round brilliant solitaire in raised tulip setting is enhanced with a double row of diamonds tapering down each shoulder. 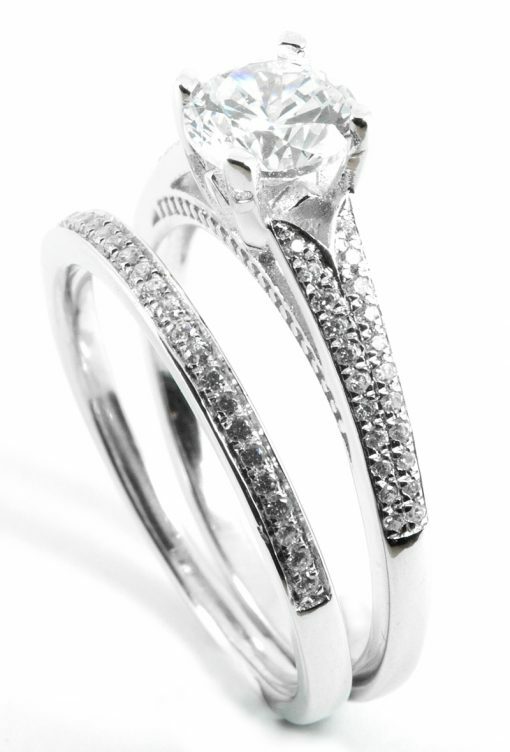 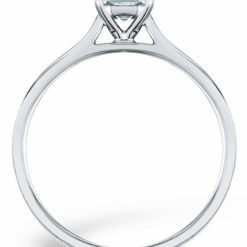 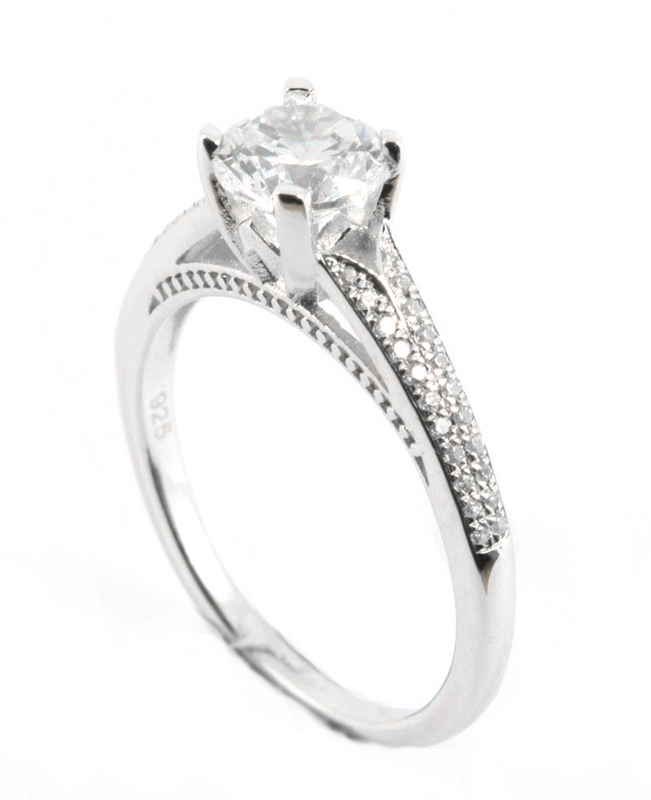 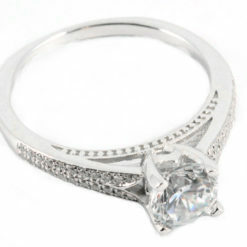 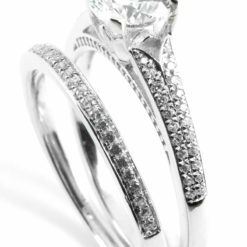 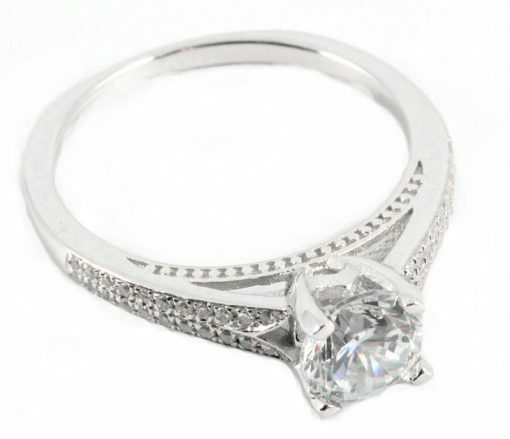 With a diamond wedding ring to match, the set features sixty nine diamonds weighting over one full carat. 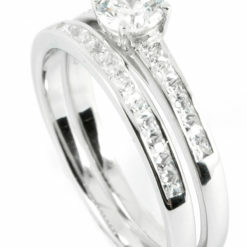 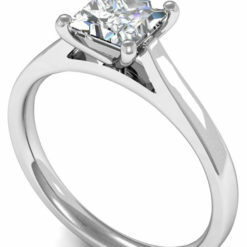 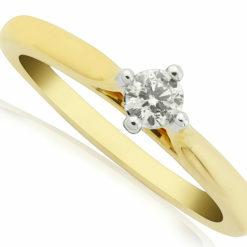 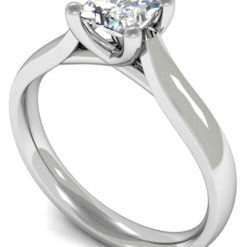 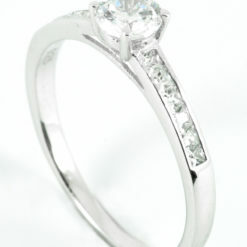 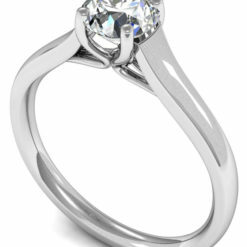 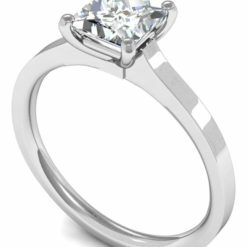 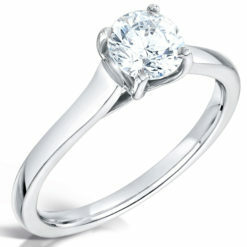 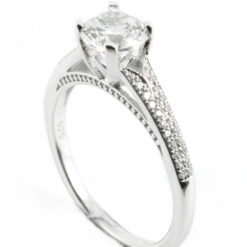 The featured centre stone is a 0.40ct certified round brilliant diamond with an excellent cut, G/H colour and Si clarity. 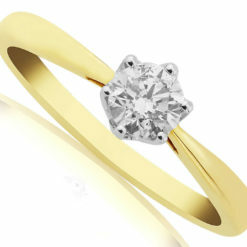 The price of €1,999 is for the engagement ring. 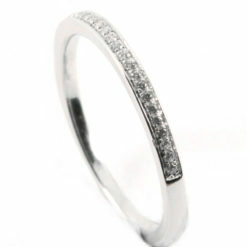 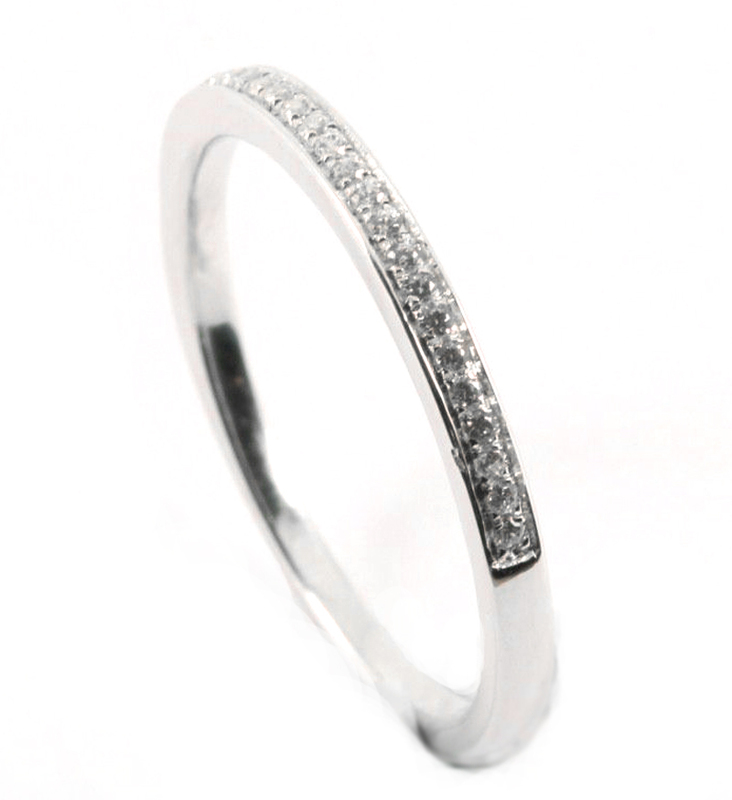 Get the matching diamond half eternity for just €600!